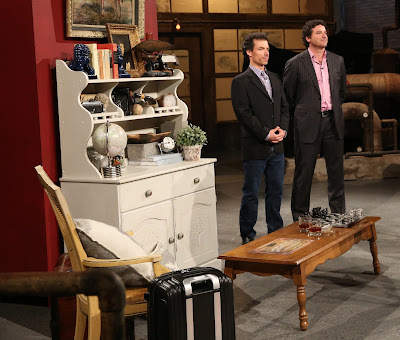 Chris Ricard (left) and his business partner appear on Dragon's Den. Every day at work is an adventure for Chris Ricard. After graduating from Douglas College’s Marketing program and embarking on a number of entrepreneurial endeavours, Ricard's newest project is SmartyPantz Escape Rooms. The expanding business has locations in Vancouver, Edmonton and Calgary, and sees players escape from five themed rooms with varying degrees of difficulty and fear factor. “I came across the escape room business while completing my MBA,” Ricard said. “I had never heard of the concept, so I read into it some more and thought it was pretty cool. At the time, Ricard owned a website hosting company. He sold the business, took a break from school and dove head-first into opening his first escape room in Vancouver’s Gastown last March. To set SmartyPantz apart, the entrepreneur – whose official title is Chief Fun Officer - upped the quality of décor in the themed rooms and added a new layer to the thrills with live actors. “It brings another element when we incorporate the actors into the fray. All our hosts are actors and everyone can put their own spin on a character,” Ricard said. With the business expanding at a rapid rate, including leases signed in Calgary and Edmonton. “It’s been an amazing experience being a pioneer in a new industry,” Ricard said.